CHICAGO (CNS) — To show support for the U.S. bishops as they gathered at the Mundelein Seminary at the University of St. Mary of the Lake near Chicago for a weeklong retreat in early January, members of lay ecclesial movements met at St. Mother Theodore Guerin Parish in Elmwood Park Jan. 3 to pray. 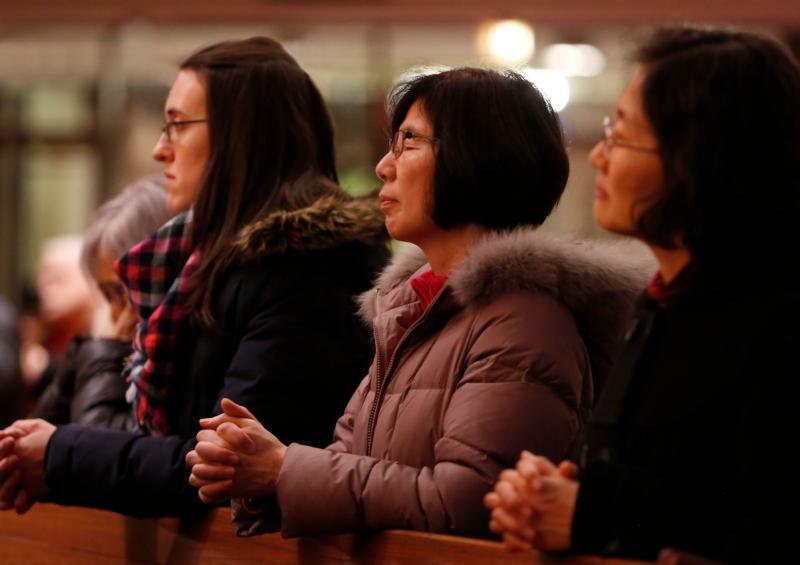 More than 70 people attended Mass and adoration at the parish as part of a larger effort of the 21 lay movements active within the Archdiocese of Chicago to support the bishops. Each group is taking a day to have its members pray during the bishops Jan. 2-8 retreat. Many lay ecclesial movements and associations have arisen within the Catholic Church, mostly in the 20th century. Movements active in the archdiocese include Focolare, Charismatic Renewal, Legion of Mary and Regnum Christi. By praying for and supporting the church’s leaders, the lay movements are fulfilling their mission, Sublewski told the Chicago Catholic, newspaper of the Archdiocese of Chicago. “I really think that’s what the lay movements are doing now, tonight and every day in the life of the church. We’re the ones who go out to the world and so we’re crying out to the priests and the bishops, ‘Courage! '” she said.